We are getting to the end of my Thanksgiving series!! Only 2 more days until the big day! Hopefully, by now you have your menu’s together, if you still need a little inspiration click here, here or here. With only days left until you host your loved ones, the final piece of the hosting puzzle is your table scape. 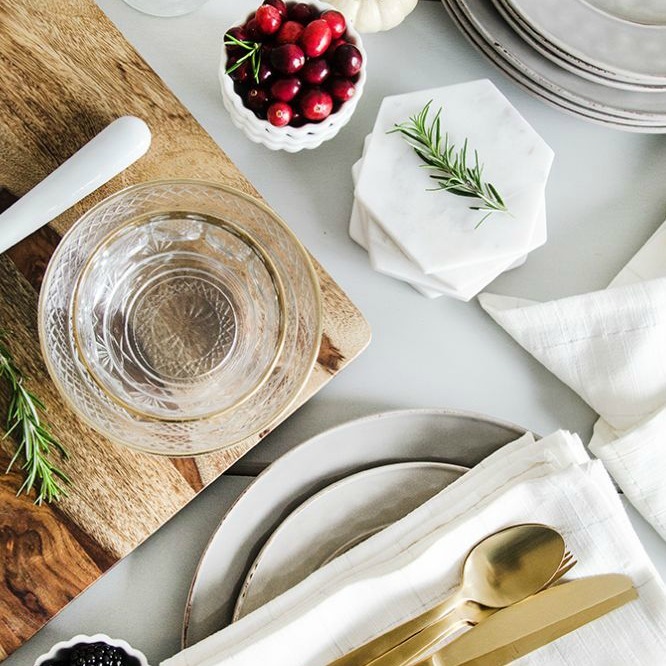 There are so many beautiful and chic ways to create cozy and intimate Thanksgiving décor. If you are into hosting as much as I am then these photo’s will serve as awesome inspiration for your table this year. I don’t think that creating a lovely table scape needs to be that much work. You can get super crafty by visiting some of my favorite stores such as Hobby Lobby, Michaels, Homegoods, Marshalls, Tjmax and more. Most importantly, if you have time, order supplies online to save yourself a headache! Also, do as much DIY as possible. This will really add to the homemade aspect of your décor. People love seeing special touches in table scapes, whether it’s a handwritten name tag, beautifully folded napkins, florals and so much more. Ok, enough chatting. Let’s get into some serious Thanksgiving table scape inspiration. 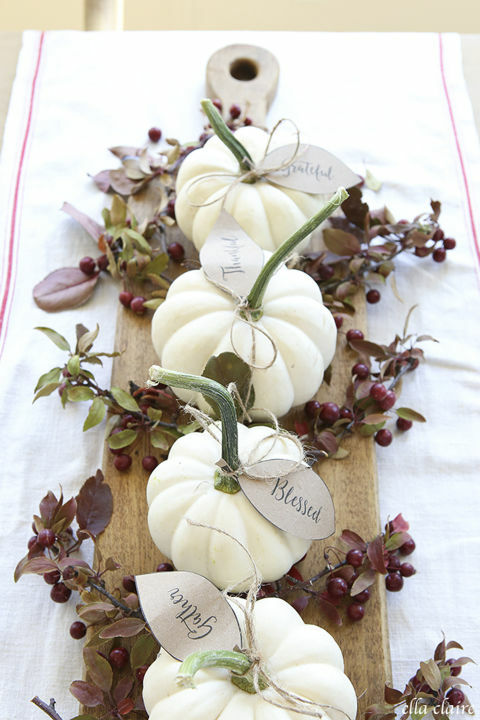 I love this table scape because the hero of the table is really the beautiful white pumpkins. They are festive and appropriate for the season. If you look closely, each pumpkin has a tag that say’s Blessed, Grateful and Thankful. So cute and a beautiful way to set the tone for an amazing dinner. 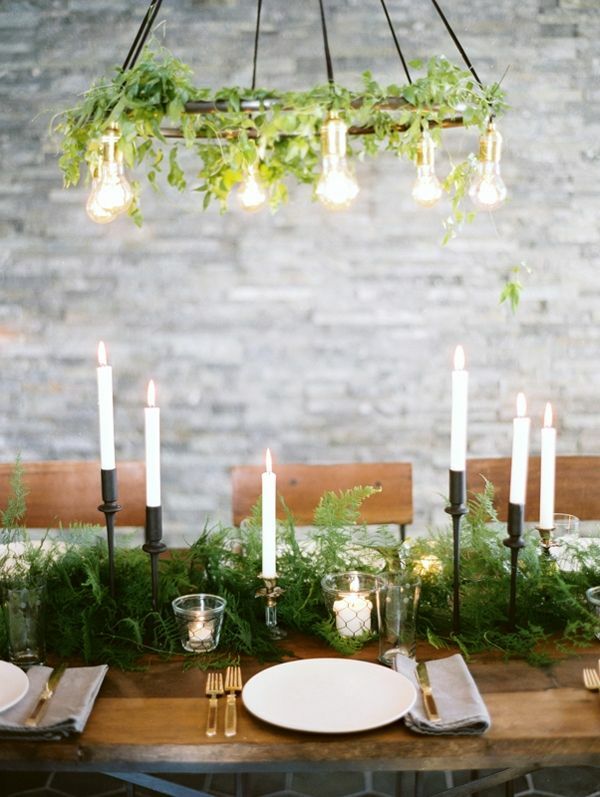 I love the idea of going with a green table scape for Thanksgiving. It’s lush and gives you the earthy feel and ties back in beautifully with the harvest and what Thanksgiving is all about. Paired with elegant white candles and gold flatware this look is an absolute winner in my book. This idea is the best! Super simple, and easy. If all else fails and you just simply don’t have time to get together a beautiful table scape, this would be the perfect idea. 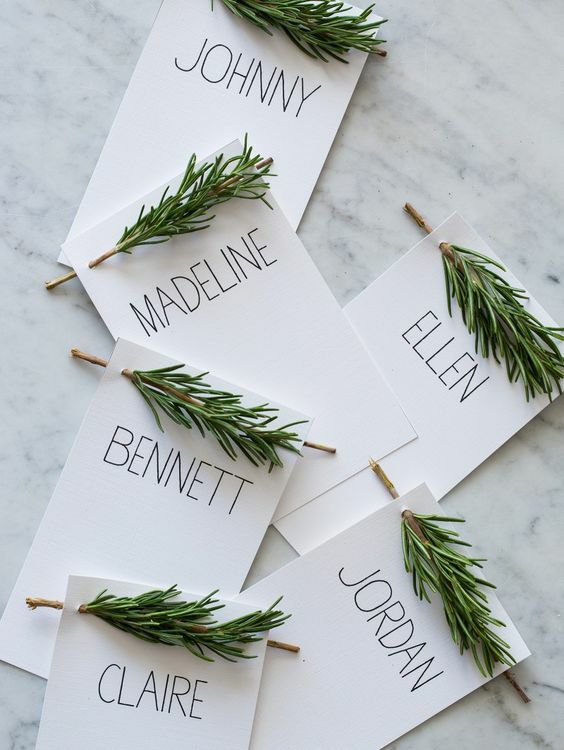 Personalizing name cards and taking it one step further by adding a fresh rosemary spring will make for a nice surprise for your guests. This idea is actually genius! If you have access to leaves in your back yard then this table setting is for you! 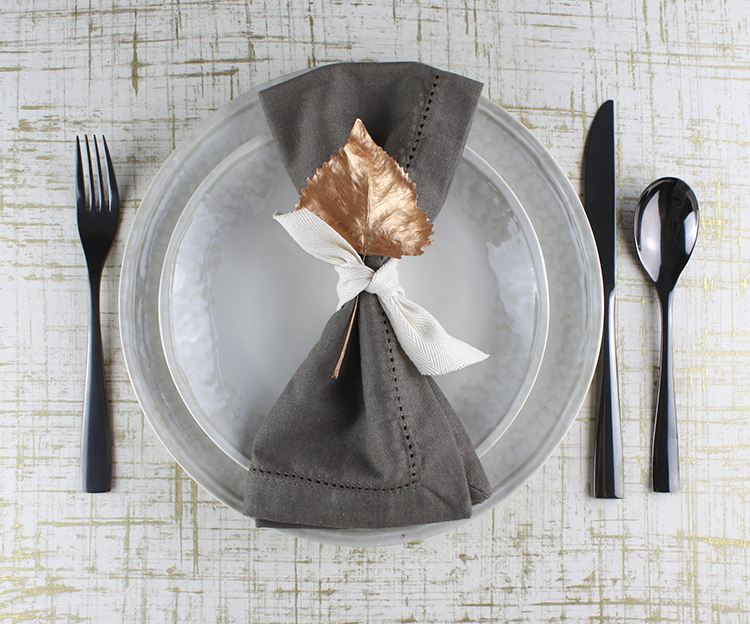 Grab a few leaves and paint them gold and create a super chic and minimalistic table setting. Classic is a good thing. Sometimes, most of the items you need to set a table can be found right in your china cabinet. Utilizing crisp white linens and white plates with gold trim will elevate your table setting instantly. 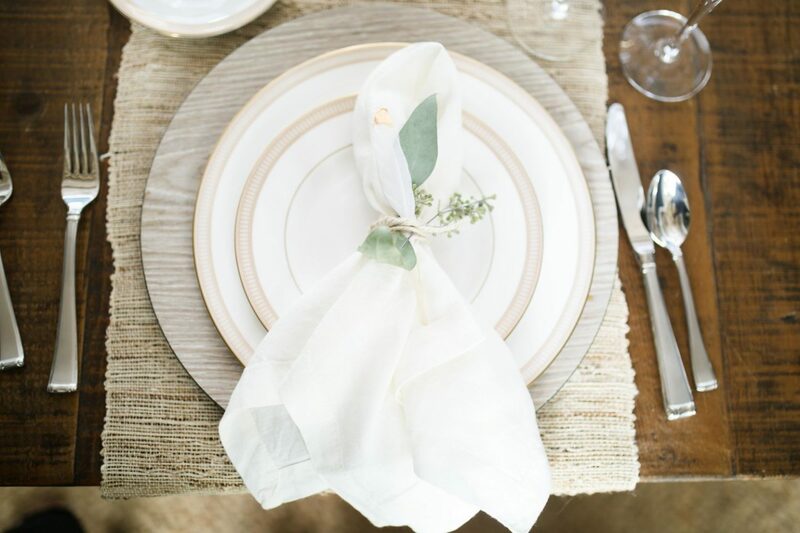 Add a personal touch by putting a dried eucalyptus leaf right in the napkin and tie it all up with twine. I would love to have my Thanksgiving meal at this table. Let me know down below in the comment section which style best suits you! Happy Thanksgiving everyone! Let’s remember to not only be grateful on Thanksgiving day, but every day.